The CEO Speaker Series is a unique forum for leading global CEOs to share their insights on issues at the center of commerce and foreign policy, and to discuss the changing role of business globally. HAASS: Well, good afternoon and welcome to Council on Foreign Relations. I’m Richard Haass. And today I’ll be having a conversation with the gentleman sitting next to me, James Gorman. The Council in its inimitable way decided that there would be no better way to mark International Women’s Day than to have—(laughter)—the two of us sitting here side by side. GORMAN: I have—I have an excuse. I wore this—which we—our president made. It won’t be obvious to you. Does anybody know the significance of it? No? Well, you wouldn’t. It reflects the stock price of our company during the financial crisis. And how—yes. (Laughter.) There are no numbers. But how it reflects it is the twelve days of Christmas. And our stick hit a low of $6.71 and this has seven swans a swimming, six geese a laying, and a partridge in a pear tree are on the tie. So when I go out this year, which is our tenth anniversary of the crisis, we all—we just put on the tie because it’s a way of reminding us of what we went through and how we never want to get there again. So I apologize for International Women’s Day, but it conflicted with a higher order in this particular case. That’s my excuse. GORMAN: But it’s true. Tough crowd. HAASS: Anyhow, unfortunately, now this is on the record, for which we’ll both probably pay a high price. I’ll be serious for one second, before I turn to James, about International Women’s Day. It is a growing part of our agenda here, the whole role of women in foreign policy, women in international relations. We’ve recently put online on cfr.org an interactive on women’s workplace equality index, which looks at the legal barriers to women’s labor force participation around the world and ranks countries on how they are doing. We also have an interactive up about economies and the impact agenda parity. And not surprisingly, it shows that this really is one of the principal determinants and drivers of economic growth. And as several people have pointed out, with aid programs and the like, if you really want to make a difference, the best thing you can do when you take a dollar out of your wallet is dedicate it to literacy for girls and women, because from that all sorts of things flow in terms of reducing disease, raising children in ways that they then have better futures and so forth. We also did a policy memorandum recently on the role of women in peacekeeping operations, so this has been a priority for us at an institution such as—such as this. So with that, let me turn to Mr. Gorman, who has been CEO of Morgan Stanley now for nearly a decade—you’ll have to get another tie—and has been chairman since 2012. In true disclosure here, full disclosure, he’s also one of my bosses. He is on the board. His most important job is he’s on the board of the Council on Foreign Relations. I would be wrong if I didn’t mention that. HAASS: Oh, no. Susan would disagree, yes. GORMAN: Certainly not, it’s low. What was it, twenty—twenty thousand, twenty-four thousand against I think the estimates were one-eighty. But surprising, though, really, I mean, I was equally surprised last month there were three-hundred-and-twenty thousand or something, so it’s—these job reports, you know, it was a very cold month. There was some suggestion they took the survey during the week that was coldest around the country, so I wouldn’t read too much into it. I mean, the—if you look at I think it’s called U-6 number, which includes those who are underemployed, temporary workers, and so on, and that had the biggest fall since they’ve recorded it, which is about twenty years. So that was, you know, a .8 percent reduction. So I didn’t read that much into it, honestly. I thought, you know, there was a tick up in wage prices, the total unemployment rate fell. You could—you sort of pick some good, you pick some bad, but I’m more interested over a three, six-month period than a one month. HAASS: And you’re in a particularly good position to see that, given the investment banking, you know, side of your house. You’re interacting with all these companies, so let’s put aside the particularly low number of twenty-odd-thousand, are you seeing with most of the companies you’re working with, though, what you might call a secular slowing in terms of business? HAASS: It’s tempting sometimes these days. GORMAN: Well, sometimes the Fed, some people think, do—(laughter)—but not John. But if he—if he came back and he said unemployment was 3.8 percent, inflation’s at 2 percent, the kind of job growth—we’ve got to produce about eighty thousand jobs a month to keep the unemployment rate stable, we’ve been producing one-hundred-and-eighty (thousand), two-hundred thousand jobs a month, global growth has been 4, 4 ½ percent, it’s a pretty good picture. It’s not perfect, but it’s a pretty good picture. So I think there’s—I’m in the camp that the economy is stable, slowing, but from a good place. The psyche is less good. HAASS: Why do you think that? GORMAN: The political discourse, the sense of inequality in society, you know, the geopolitical tensions that have been abounding. I mean, there are—there are a lot of reasons, the scar tissue from the financial crisis, the sort of collective mass of things to worry about is very large now. And I think with the damaged psyche that a lot of people are carrying since 2008, it’s not surprising that things get very fragile very quickly, and I think sometimes irrationally so. HAASS: Well, building on that, are you worried that some people are going to—or we’re already seeing it—that some of the potential or proposed cures are a lot worse than the disease? If you see proposals for quite high marginal tax rates, you see proposals for wealth taxes, essentially a much more redistributionist bias, particularly in certain elements of the Democratic Party, does that give you some cause—some cause for pause? GORMAN: Well, you know, we’ve had massive changes on the corporate tax front where the U.S. has gone from, you know, 35 percent federal taxes to low 20s. Compared to other nations in the world, that’s where the rest of the world is, in the low 20s, so it feels like, if you didn’t do that and adjust to it, you’re going to push more revenues, more businesses offshore, which is exactly what companies have been doing, so you’d rather get 22 percent of something rather than nothing of, you know, a larger number. On the income tax, I mean, it’s—you know, we’re in a very tricky period now. The inequality gap continues to grow. And it’s growing obviously because certain sectors in the economy are doing better, certain geographies are doing better, but also the simple math. If you put through, like we did this year, 3 percent salary increase for all salaried employees—so before bonuses, the, you know, managing directors’ salary is whatever it is, all the way down through the organization. But 3 percent of four hundred thousand (dollars) is different from 3 percent of fifty thousand (dollars) and the gap just continues to expand. And people never talk about the dollar value, they talk about percentage increases. And so we’re in—we’re in a society where the inequality gap is continuing to expand, the geographic gap is continuing to expand, and the political rhetoric is driving a wedge through all of that. And that is—it’s not surprising that some people are proposing a fundamental change in income tax as a response. In my view, that isn’t the right response for it, but that is not surprising that that’s coming out of some parts of the Democratic Party. HAASS: Let me circle back to one or two of the things you alluded to. One is the Fed. Do you think the Fed by essentially saying, after it raised rates a bit, that we’re going to take a timeout and may not be raising them again for quite a while, if ever, for the foreseeable future, do you think they’ve basically got it about right? GORMAN: You know, I had this discussion with the Fed chairman a while ago and I said the funny thing is that we, you know, you have a recession every seven years statistically and the Fed prices in a 15 percent recession chance every year in January and then adjusts it up or down based upon what they see in the economy. And the reason is, you know, money is cheap, assets are cheap, creates an asset bubble, people borrow too much, the Fed responding to that bubble raises interest rates, and they try and pick the perfect moment to stop when everything is in equilibrium. And about every seven years you get it wrong, right? You raise rates too fast or you don’t raise them fast enough, and you end up with an asset burst causing a credit problem and so on, and we end up in a recession. And that’s basically the cycle. It feels, to me, right, where we are now, but interest rates remain, against any historical standard, very low. So I think you said, you know, raised rates, they won’t do it forever—I hope that isn’t the case. I hope the economy can kind of catch up now, we can get through this period, we can get back to closer to 3 percent growth, and then I think the Fed should resume. But right now what they’re doing, they have to do it. You know, the market spoke. And the Fed—the Fed, it’s very interesting. They look at—they obviously look at traditional economic data, but sentiment, confidence, psyche all matters because that changes how people behave, which then becomes the data. So the Fed, I think, is doing a better job at looking at the input of market sentiment and psyche as evidence of what the data is ultimately going to tell them down the road. Historically, they look more at the output; I think they’re doing a better job looking at the input. And right now, the input says you pause. HAASS: And you mentioned low rates. In another context, there’s a growing school of thought—there’s an article in a recent issue of a certain magazine we’re associated with called Foreign Affairs—that because of low rates, the debt burden will be quite manageable, and that even though the deficit is going up at over a trillion bucks over a year now, the cumulative debt is greater than GDP, that this is something that’s quite manageable. Do you—are you as sanguine as others? GORMAN: Unfortunately, the same question got asked twenty-five years ago and fifteen years ago and five years ago. And at some point, when the answer is obvious to everybody, it’s going to be too late. No, I’m a believer in fiscal discipline. I don’t—I don’t like countries deliberately running deficits for no particularly good cause. This is an extraordinarily affluent, prosperous, innovative country with an enormous capacity to legitimately tax. And I don’t like it, I don’t know when that threshold passes. Everybody has been telling me it passed, you know, ten years ago, five years ago, we seem to be doing just fine. But at some point, obviously, it is a problem which you then can’t deal with and you always try to preempt. No, it’s a—it’s a—you know, it’s something people are leaning on unfairly to justify basically a lack of fiscal discipline. HAASS: And an American. I know, I was going to get to that. So you’re a hybrid. But because you began solely as an Australian, so you’re looking at us. And one of the things connecting it to debt is the role of the dollar. The dollar has, you know, what—I think it was—was it Giscard d'Estaing or one of the former French presidents described as exorbitant privilege, maybe it was de Gaulle, but the whole idea that the dollar has enjoyed a special position. Given, among other things, the crisis of ten years ago, given the fact that America is racking up a pretty significant debt, can you envision the day that will come, sooner rather than later, where the dollar no longer enjoys this unique position? GORMAN: No, I cannot. I mean, at least in my lifetime, which I hope it’s going to be a very long time. (Laughter.) You know, this is—this is an eighteen-trillion-dollar economy, the second-largest economy in the world is eleven trillion (dollars), is China, the third-largest economy is Japan, it’s four trillion (dollars), the fourth largest, Germany, 3.8 (trillion dollars) or something. At 3 percent growth on an eighteen-trillion-dollar economy with the amount of innovation and dependence upon American technology wherewithal, business culture, it just—it’s hard for me to imagine what becomes the currency of choice against that. The euro? I mean, it’s just it’s hard for me to see it. You know, it was interesting. We had a few years ago, you know, when there was great concern about the stability of the U.S., the market actually rallied because the thought was, well, if the U.S. is unstable, what must the rest of the world be? So therefore, we’ll run to where the real strength is, which is the U.S.
HAASS: We can’t lose, we’ve got—we’ve got the system gamed. GORMAN: It’s a great country, you know, it’s an amazingly productive, innovative country. And I just—I don’t see that changing. You know, people talk about China. Obviously, the size of the Chinese economy, the growth in China is at 6 percent now—you know, the premier just reduced the target, I think, from 6.5 (percent) to 6 (percent)—still dominated by state-owned enterprises, still very inefficient, still hundreds of millions of Chinese have not made their way into the sort of—the winner’s circle yet, enormous challenges in managing that transition for the next twenty years. In some ways, you know, the easy pickings for the last twenty years, but the next twenty years get much harder and that. So, you know, it’s funny, when I go to China—in America, a lot of Americans talk about China and, you know, the relationship between the U.S. and China. When you go to China, the Chinese tend not to talk about Americans, they talk about China, too. They’re more worried internally than they are about the U.S. They see the U.S. as a sort of an aspirational place to be. Yes, there are geopolitical competitiveness and trade talks and so on, but, no, I see the U.S. as this will be the currency of choice in my lifetime. HAASS: A few other things on the economy. On China, I don’t know any Chinese economist anymore or American expert on the Chinese economy, let me put it that way, who thinks the growth is at 6 percent. Everybody I’ve talked to thinks it’s substantially lower. Since, again, you visit there quite a bit, you have—you advise firms that have a lot of business there, is your sense that we’re underestimating the speed bumps China faces? GORMAN: You know, I think you have to look at the evidence and look at the concentration of power, what Xi Jinping has done by becoming head of the party, the military, and the country, possibly in that order of importance by the way, in addition to being responsible for implementation of the economic plan, which traditionally the premier would be, in addition to establishing the—I forget the exact title—but the disciplinary committee under Wang Qishan that has, you know, changed the lives of at two-hundred-thousand Chinese citizens, this is possibly the greatest concentration of power we’ve seen in history in anybody. And certainly in business and in life, if you have a massive problem, what do you do? You give it to one person to solve, you don’t give it to twenty. So I think the concentration of power by the party is a direct response to the magnitude of the challenges that China has. And that’s diminishing China, that’s just speaking factually, and the Chinese leadership would say that. The transition for hundreds of millions of people still in rural communities into urban centers and transition in standard of life, how to achieve that while maintaining a lifestyle and a quality of life, be it pollution and so on, with the need to build the industry to support it, how to deal with the fact that the rest of the world is now starting to treat the Chinese not like a developing country—because at eleven trillion it’s kind of hard to argue you’re a developing country—but as a developed country, so that changes all the trade positions that China has around the world, and obviously with the challenges in some of the communities, the ethnic-minority communities around the borders. So I think the Chinese are quite humble in their understanding that they have enormous challenges in addition to great gifts themselves. It’s not sort of all-power, all-conquering. They’re wanting to learn from countries that have been through these kinds of transitions. HAASS: Let’s talk about Brexit for a second. I have two questions for you. One is, to what extent is it affecting your planning? What are you doing? What are—are you putting things on hold? Are you—do you have plan B, plan C, based on Brexit? You know, I said at the time when Brexit happened that—before it happened, I said, as an Australian we have a complicated relationship with the British. We were a colony, we became free, we didn’t fight our way to get free, like some others, but we were given our freedom, so we have a complicated relationship and we play that out basically through cricket over the—over the centuries. (Laughter.) And I said, but there’s one thing you have to say about the British is that they have uncommon common sense and there’s no possibility they will vote for Brexit. And they promptly voted for Brexit. So I felt at the time it was a terrible mistake, but I’m not a British citizen so it’s not really—got nothing to do with what I think or feel. From our business perspective, it’s not positive. We now have a separate European headquarters in Frankfurt. With that, you need audit, finance, compliance, basic structure and Frankfurt and Paris are probably the only two real choices that were available. You need to move sales, traders. People covering, say, German pension funds have to be in the eurozone, they can’t be in the U.K. anymore. But in terms of magnitude, for us just, you know, the simple facets are, let’s say, Europe is 25 percent of our global revenues, that’s ten billion (dollars), let’s say that this affects less than 5 percent of that and that’s a couple percent of costs, it’s not—it’s not—the issue is not for Morgan Stanley. You know, we will adjust and adapt and we’re moving some people and it’s a little more expensive. But the issue is really for—to me, it was all about the social, political, military stability that the European Union has enjoyed for the last sixty years. And I thought that economic tie-in contributed to that stability. Maybe I’m wrong. So that, to me, is the fundamental issue. The secondary issue, of course, is the economic impact on England, London, people who own houses in Kensington. You know, the tertiary impact is global businesses and how they adjust. HAASS: What about Europe apart from Brexit even if Brexit hadn’t emerged as an issue? One looks at the end of the Merkel era, one looks at the problems on the streets of France and Macron’s falling, you know, position, one looks at this unprecedented—I’ll use the diplomatic word—government in Italy, one looks at the historic problems about a common monetary policy without anything fiscally paralleling it. What is your sense when you look at Europe? You’re right, it’s about now—you said it’s 25 percent of your business, it’s roughly a similar percentage of global GDP, plus or minus. But in ten years, fifteen years, what’s your sense? GORMAN: Well, look at Europe ten years ago, look at what was going on with Portugal and Spain and, you know, unemployment in southern Spain was approaching 30, 40 percent. You know—you know, Iceland, I mean, so from ten years ago, Europe is in a materially better position. You have economic growth in the sort of 1 percent range, which is not great, but it’s better than where we were ten years ago. The unemployment profile has changed. There are always pockets of misery in Europe. Italy has tried hard to occupy that throne for a while and they’re succeeding, but, you know, Spain had it for a while. The grownup in European politics for the last, you know, ten years has been Angela Merkel and, obviously, that’s coming to an end at some point. So I’m not—I’m not anxious about European growth. We don’t look to Europe to provide 3 to 4 percent growth, we look to Europe to be stable, be growing, you know, 1 to 2 percent, and we prosecute our business accordingly. HAASS: Where do you look for then for your big growth? Is it India? Is it ASEAN? Is it Latin America under Brazil? What do you see as the bright spots, because we spend so much time talking about the problems? What do you feel really good about? GORMAN: Well, they’re ones we make. My point is that don’t underestimate the power of having a very successful business in this market. We’re at scale in all our businesses in this market. We happen to be in forty different countries around the world. You know, China is, as I said earlier, on GDP numbers phenomenal. In terms of economic opportunity for businesses like ours, it’s still small. Most of the companies are state-owned enterprises, they’re not participating in the global markets. The Chinese wealth is highly concentrated in a very small percentage of the people. Southeast Asia is probably growing 4, 5 percent. But you’ve got, you know, to have operations in Malaysia, Indonesia, the Philippines, Thailand, Vietnam, it’s expensive. There’s a lot of infrastructure, compliance, money-laundering challenges, all of the things which these developing markets have—across the African nations—there are very few countries that, for our business, rise to a size where it’s worth making material investments at this point in the cycle. If you’re an oil company, you know, some of the other businesses that are out there, health care, it’s different. But for developed financial services with capital markets, that’s less a place throughout. So again, you know, Japan is a phenomenal place for us with our joint venture with Mitsubishi. But, you know, I sort of—you know, what did Willy Loman say? You go where the money is. I mean, the U.S., Japan, Hong Kong across broader, you know, as the base for broader China, greater China, then obviously the U.K. and the rest of Europe. HAASS: I don’t think it was Willy Loman. HAASS: No. Willie Sutton. Willy Loman was the salesman, Willie Sutton was the bank robber. HAASS: Let’s talk about your company for a second because you’ve been there for less than a decade, but close to a decade—you’ve been there longer, but in the—in your—in the top positions—and it is a very changed firm. It’s added, shall we say, dimensionality. Why don’t you say a little bit about what you’ve done and why you did it and how you got it done. GORMAN: We have two hours here? (Laughter.) Just want to make sure we’re all together on this one. I’ll try and do it in two minutes or less. We had and have, I think, one of the top two investment banks in the world; different businesses we’re number one, some we’re number three, but one of the top two investment banks. Coming into the financial crisis, we discovered that a business like that without a stabilizer in difficult times was very problematic in terms of both shareholders and in terms of funding, so we deliberately went out to expand a very stable part of this firm, which is the wealth management business, and we bought a huge business from Citigroup post crisis. And I think of it like an aircraft carrier. I think of our company as having the ballast in very difficult seas that the wealth management business gives us, but also the speed from the engine room. When things are going well, the markets are moving, there’s a lot of new issue, a lot of companies going public, you’ve got that. So we might be a little slower than some others because we’re dragged by the ballast, but we’re more stable because we’ve got the ballast. And that was a very strategic decision that we came to about ten or eleven years ago really in and around the financial crisis, that this business model as it was could get by when things are fine, but when things are really, really bad I’m not sure you get another chance. HAASS: Had you reached that judgment before the crisis really hit? 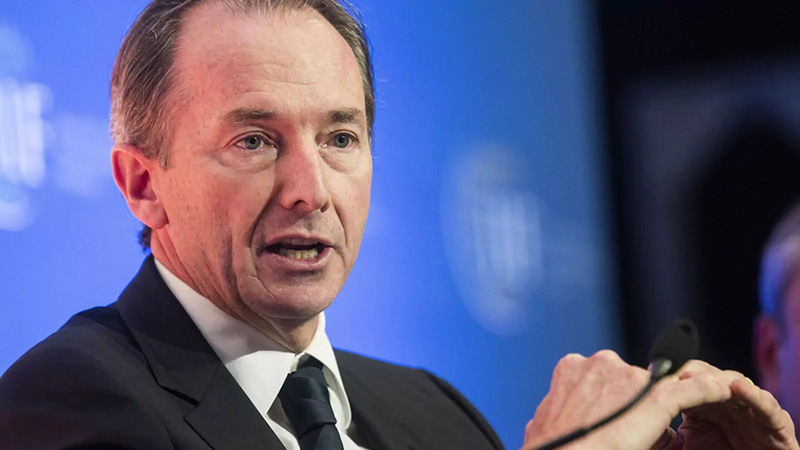 GORMAN: I had a very strong—in fact, when I came to Morgan Stanley in 2006 to run the wealth management business, I have a very strong view on that because I had run a similar business a Merrill Lynch, that that was a not-fully-polished gem. And there were lots of reasons, which I won’t bore you with, but one of them was the stability it would give. We have three million clients. They don’t all behave in the same way every day. With the jobs number this morning, the traders are all going crazy, right? I was talking to all the traders, everything, everybody is trying to understand what does it really mean, what’s going on. Our retail investors all over the country, they’re not thinking about that, they’re thinking about what they’re going to have for dinner. Right? They’re focused on real-life issues, they’re not worried about what the jobs number was at 8:30 this morning, so they don’t all act like that. Whereas all the hedge funds largely act in unison, right? Obviously, they’ve got different strategies, but CEOs deciding whether to merge or not are all starting to get a little shaky right now, companies thinking of going public all wonder if this is the right time for the market. But wealth management clients, they all—they’re doing a thousand different things based upon their specific needs. So our strategy was to de-risk the firm, provide stability in really difficult times, but at the same time burnish this incredible investment bank that had been built by the people on whose shoulders I stand over the last eighty years. HAASS: I’m going to open it up to members in one minute. I want to talk about one of your habits, that supposedly—I don’t know if this is true, but I read it about you—that you write down the top ten things you want to accomplish each year and you keep a three-year strategy on your desk, looking at short, medium, and long-term goals, and then you have a daily equivalent of this as well. GORMAN: I know. You’ve got to ask, right? (Laughter.) What kind of life is this? Welcome to—welcome to my nightmare. No, I call it—I call it—it’s, OK, the short story is I call it managing by three sheets of paper. The hardest thing to do, whether it’s leading this wonderful institution, an educational institution, a community organization or a big company, is to be able to toggle between the long term, getting stuff done, and then what happens every day. And it’s very easy to either just focus on what happens every day, become immersed in it. And you hear about these people who are CEOs and they never get themselves out of the weeds. And it’s very interesting and exciting to only think about long-term visionary stuff and how machine learning is going to change our life and robotics and all this sort of stuff, but the reality is it’s not—immediately—eventually, some of it will, but it’s not immediately. So what I’ve tried to do is have a sheet on my desk, which defines our strategy. It happens to be in seventy-two words. And every time somebody comes in and says we should do X I go and look at the sheet and if it fits, OK. If it doesn’t fit—if it fits, OK, we judge it on its merits, the idea. If it doesn’t fit, we decide, should we be changing our strategies, is there something we’re missing? But it keeps you sort of three-to-five-year focused. Each January, I come in the first week and sit down and I try very hard not to think about it beforehand, but just have a blank sheet of paper on my desk and say, because your bum is in this seat, what are you going to get done this year? And if somebody else was sitting in the seat, they would have different capabilities and skills, they’d do different things. And it’s a way of keeping you focused on making sure stuff gets done every year. And then each night before I go to bed, I write down our numbers from around the world of all of our businesses and then send emails out to people based upon what you’re seeing. Something that looks very good, was that a great performance in rates in Japan or a reversal of something? What drove that? Is it—it could flattering or it could be disappointing, but both are interesting to me. GORMAN: It’s a great way to feel—this is my one piece of advice. We spend all our time looking at computers, right, the screens. It’s very hard to have an emotional relationship with numbers on a screen. It’s very different if you physically write something on a sheet of paper, for me at least. And I have pages of this stuff and I can go back and look and on this day in 2013 what we did in our trading businesses on that day and why. And it gives you a sense and a feel for what’s really going on in an organization that I find, personally—I know it’s a little odd, but I find it positive. GORMAN: And how many do we actually read cover to cover, right? HAASS: OK. Let’s open it up to questions from our members. Remember, it’s on the record. As I warned James, everything you say can and will be used against you. Please raise your hand, stand, keep it short, wait for a microphone, let us know who you are, and be as succinct as you can possibly be. I saw a gentleman about the fourth or fifth row from the back. Yes, sir. I can’t see that far. Q: Thank you. Great presentation. HAASS: Would you introduce yourself? Q: Oh, I’m sorry. John Sakowicz, host and producer of Heroes and Patriots at KMUD radio on many public radio stations on the West Coast, and also a former national salesman of two product areas at Morgan Stanley. When Dr. Haass mentioned the supremacy of the dollar as the world’s reserve currency, you only mentioned other fiat currencies as the alternative. Why couldn’t a cryptocurrency be an alternative? Why couldn’t a fungible cryptocurrency be an alternative? And do you see blockchain as providing some of the infrastructure, compliance, and anti-money-laundering provisions that could make such a scenario possible? Thank you. GORMAN: Short answer is no to the first part of the question. The second part of the question, absolutely, I mean, blockchain is already starting to play that role. I mean, a currency is a form of stored value. And what people really care about when they put their hard-earned effort into something and convert it into a piece of paper or a gold bar or, you know, a cow or whatever the right bartering was at some point in history, is that it retains its value. And until somebody can demonstrate to me the long-term, as in century long term, stability and durability of various cryptocurrencies, I’m just not a buyer. We don’t need another form of stored value in society. I don’t—I don’t—I don’t see what the point is. Who needs—what’s the need from society for that for another form of stored value? So against the backing of the U.S. and the ability to produce economically that the U.S. has, I don’t think it’s even a close call. Q: Hi. Robyn Meredith, author of The Elephant and the Dragon, and at JPMorgan. I was struck by the beginning of our conversation today. We talked about all of the political problems that are flowing from income inequality growing around the world, but just take our country for one, and you talked about redistribution. There’s sort of this reflexive pain about redistributing income to the poor and middle class via the tax code. So my question is, what’s a better way to redistribute income or to change the income inequality, to fix the inequality problem? Maybe on your three sheets of paper, what should those three sheets of paper say? GORMAN: I haven’t figured that one out on three sheets of paper. Listen, you know, you can obviously solve it through taxes. I mean, we’ve had, in many countries, in Australia in the 1960s, ’50s and ’60s, I think the highest marginal tax rate was 90 percent. It was during conservative government that was in power for twenty-seven years and the country prospered during that period. It prospered much more in the ’80s, ’90s, and 2000 as twenty-six years of consecutive economic growth with significantly lower tax rates and a much higher percentage of the country has moved into the middle class. So there are—there are clearly, you know—I happen to be of the view that lower taxes drive and stimulate economic activity, which in turn, again, 30 percent or 40 percent of something is better than 90 percent of nothing and that, you know, that depends on what side of the economic debate you’re on on that. But, you know, the key problem we have is the training and tooling of large parts of the country to be fit for purpose for the kind of job market that this country now provides. You know, it’s not easy to say to somebody, well, you know, this morning it’s OK, you’ve got to go and work in your factory; it happens to be in the Philippines, so it’s going to be a long commute today. Right? That doesn’t really work anymore. So we’ve got to get past imagining creating a manufacturing base of the size that we had in the ’50s and ’60s because that is highly improbable to happen, yet all of those people are good, hardworking individuals, they need to be skilled for that we’ve got. And I think, you know, back to the Angela Merkel comment and the German model of vocational training schools and turning a lot of our community colleges into true vocational training I think is at the heart of it. Your workforce has to meet the opportunity that is there. HAASS: Robyn, I’m just going to push back thirty seconds on your question. I don’t think the issue is how does one eliminate or reduce inequality and one’s immediately into a conversation about redistribution. I would have thought the first-order question is, how does one make upward mobility a reality in this country rather than something we feel nostalgic about? And that is what, I would argue, the public debate ought to be much more—much more on. Q: Gordon Bell, Legacy Growth Partners and Bed-Stuy Restoration. And that last part will be important. HAASS: Hopefully it’ll last longer than the tenure of an Australian prime minister. Q: So my question is in line with what Robyn’s was. Did you pick those or—anyway. The point is eight-thousand-seven-hundred opportunity zones were made part of the tax code under Trump’s new tax overhaul. Those areas are allowing capital gains to be invested with incredible tax benefits. I’m a favorite son of capitalism and I think we should be finding ways to invest to bring up the bottom. And I’m curious what you think about that opportunity-zone business. Is that a step in the right direction, tax benefits for some of the most wealthy because they have tax gains, but we’re targeting underserved communities? And if it’s not, what might fit a little bit better for Morgan Stanley and how could you be involved? GORMAN: Well, I don’t know that I’m an expert on tax policy. I do think that the long tradition of finding communities that are going through massive restructuring and creating an advantageous tax base to attract business to them is an obvious no-brainer. Right? And that’s what we’re going to have to do for a lot of middle parts of the country and inner-city parts of the major urban areas. I mean, at Morgan Stanley we, through our community reinvestment activities, we invest money through our bank obviously in the hundreds of millions of dollars, like every bank is required to do, it’s not just out of the goodness of who we are. You know, we contribute philanthropically, like all institutions do, and I’m not going to brag about that because you should do that, it’s part of being—it’s part of being part of the economy, you don’t separate yourself from the economy, you’re in the infrastructure, you’re in the water system of everybody else living there. So I’m—listen, if there are creative ways in which you can distribute economic energy into communities, I’m all for it. But I don’t have a particular answer for it. HAASS: Yes, sir, towards the back. Q: I’m Ken Moriyasu from the Nikkei Asian Review. HAASS: We’ll keep it to one question. Q: All right. Do you—do you expect any deal to be a gamechanger that will lead to more growth in the market? GORMAN: No. I think the market has been observing the trade talks for a while. I think there will be some deal involving some set of victories and some sheets of paper, and warm hugs and handshakes will take place. But the fundamental challenges on global trade will not be resolved in the next days, weeks, or a couple of months. These a multidecade issues. So I think the market is savvy enough to see, yeah, taking the uncertainty of a potential unraveling of a trade spat into a true trade war is clearly a positive, and I think the market would rally on the news of that. Would it be a meaningful rally? I’d be very surprised. Q: Nick Brandt with Lazard. Tell us a little bit about the third page, the vision thing. How different will you be in about three to five years’ time? GORMAN: You know, we—and the beauty is that we set the strategy three to five years, but we keep changing based upon what we think the future is going to look like. We essentially see ourselves as conduits of capital, providing a facility for those who have capital and those who need it, those who are saving and those who are borrowing. So we think about—it’s not so much a vision, it’s a strategy. Our strategy is to be a player in the flow of capital all over the world. It could be between, you know, sovereign wealth funds and investments being made in infrastructure projects, it could be our private wealth individuals wanting to access hedge funds who are giving them alternative exposures to the market and, therefore, de-risking their portfolios, a range of things. But the question we keep coming back to is, are we, are the center, a conduit a capital? Why is that important? Because things that do not involve the flow of capital, we don’t want to do. It’s very easy to set strategy by envy. You see somebody else doing something and you say, well, why don’t we do that? Well, all you’ve got is ambition and money; what they’ve got is skill. So we’re focused on the things that we can play that role helping capital move back and forward. The other part of it is we’re the conduit, we’re not the owner of the capital. And that’s a massive distinction from pre-crisis, meaning pre-crisis you owned the capital, you were a proprietary investor yourself, either trading or investing. Simply, the sole purpose was to make money for yourselves. That’s fine, plenty of institutions do that very well, but that’s not our job. Our job is to be the agent for others to facilitate them making their money by the conduit of capital. So that’s the sheet I keep coming back to. And part of it is defensive. How do we ensure we don’t slip a decade later into starting to do things that are just for Morgan Stanley’s purpose? And part of it is offensive. We want to dominate as the leading conduit of capital flows around the world. We want to be certainly one of the top three institutions, ideally the top institution, in helping governments, individuals, corporations move money back and forward between those who need it and those who’ve got it. Given the availability of capital and your ability to move it around the world instantly, is there a continuing economic reason for the preferential treatment of capital gains? GORMAN: I guess we’re back to tax policy again. Listen, it’s on—if you look at it from a pure intellectual basis, the way capital is treated and capital gains versus income gains, there’s no doubt they’re a different animal. If you look at what feels fair and right, it gets much harder to pass that test. So is it a capital gain, by definition, the way those capital gains are treated? Yes, it is. It is not income, it is capital, it is a gain on capital. So by definition, if capital gains are taxed at whatever the tax rate is, 20 percent, so be it, they’ll be taxed at 20 percent. But it comes back to a sense of what’s fair and equitable for the society and how should those be treated. And that’s obviously the job of the politicians to sort out. HAASS: Yes, ma’am, towards the back row. Q: Hi. I’m Alice Fulwood, I cover finance for the Economist. I have a question about the Morgan Stanley strategy. You talked earlier about the ratio between sort of ballast, which is the wealth management side, and the engine room, which is the trading side. I wonder whether you think you have the right balance between those two halves, if you will, and, in particular, I’m interested in your acquisition of Solium and whether that indicates that you’re expanding your sort of wealth management business more aggressively than your trading businesses. Solium was—and I’ll try and be very brief on this because I don’t want to bore you with Morgan Stanley’s strategy—but if you think about where people accumulate wealth and how they’re served, they’re essentially served through their wealth needs in three ways. One is through some sort of adviser, financial adviser, it could be an accountant, it could be a financial planner, that whole category. We kind of nailed that category. We have two-and-a-half-trillion dollars of people’s money we manage through that. The second is direct, going through—it used to be a phone, obviously computer, online, what people now call robo advice, it’s just a basic asset allocation model. You know, the online brokerages now, what is now called direct, and that category has essentially been dominated by Schwab, E-Trade, Ameritrade, and so on. Very hard to build something to challenge such largescale players. The third way in which you access people with money is through their workplace. Right? Your 401(k) plans, your IRAs, your stock plans, your stock option plans, and so on. And that’s what we chose when we did the Solium deal. They basically do workplace management of stock plans. So we have three-and-a-half-million clients in the first bucket. We have nearly none in the second bucket. And between our stock plan business and their stock plan business, we now have two-and-a-half-million people we can access through their workplace. So that struck me as an extraordinarily attractive place to fish, and that was the essence of the acquisition of Solium. Q: Andrew Gundlach, First Eagle Investment Management. And your answer to the previous question on your third page about conduit of capital was great. I’m curious if that means, in your own mind, that alpha, at scale, is almost impossible to scale as a business. Larry Fink, your peer, has proved that beta at scale is very possible. But are you saying, in being a conduit, that alpha at scale is really almost impossible, it must be a niche business? GORMAN: You know, I mean, Warren Buffett is now coming out and saying you can’t beat the market. It’s certainly very hard to put enough money at work when you—when you get to certain size to put the money to work to consistently beat the market. I mean, the greatest portfolio manager of all time was probably Bill Miller at Legg Mason who beat the market for fifteen years in a row. And there are two possible reasons why that happened. One is he’s the greatest portfolio manager of all time. Secondly is, statistically, if you took two-and-a-half-thousand portfolio managers and rolled their performance out over fifteen years, eventually one of them would still be beating the market. In the sixteenth year he wouldn’t and that’s exactly what happened to Bill Miller. Again, a phenomenal, phenomenal money manager, but he was managing by that point a huge portfolio; when he started off, it was a very small portfolio. So I think, for all fund managers, that’s the core issue, is, when do you lose your uniqueness, your inventiveness, your creativity by just being too big and having to be out there too often? I think it’s very hard. I’m also a great believer in highly concentrated portfolios. What incentives do you give your workers inside to achieve upward mobility? And since you have offices worldwide, this is especially critical in the countries you’re dealing with in the Middle and Far East and Japan. And through your wealth management, do you give advice on philanthropy so that people may become aware of better ways to use some of their funds for philanthropy? HAASS: I have the word for it: Council on Foreign Relations. (Laughter.) I’ve solved that for you. GORMAN: So we—yes, the short answer is I would hope every adviser talking to every client is helping them think through what happens when—most of us are not going to use up all of our money and die—as my father said, his desire was to die exactly broke. (Laughter.) And I said, well, you better get the timing right. So, yes, it’s a big part of what we do and, institutionally, one of our four core values is to give back. We’ve put that in, it’s on the walls in all our buildings. And it’s an expression of the fact that we believe for society to tolerate its relationship with banks, which it doesn’t always like, banks have to understand they’re part of the ecosystem, as I said earlier. As to incentives, we give people—I mean, most people, they want to be fairly paid for what they do. So whatever the pay scale is, it has to be relative to what they’d get at other places in the market, it has to be fair. It doesn’t have to be the best, it doesn’t have to be fair every year. Some years it’s not fair, they’re brought down by what happens in some other part of the company, but over time it should be fair. But what most people I find who stay with our organization for a very long time—and I’m a newbie at twelve, thirteen years; most of our management team have got thirty years-plus at the organization—they’re attracted to the values. Is this the kind of place that you’re proud to work at? And we asked in our annual survey—we have about fifty questions, which I’ve managed to beat our HR department down to twenty questions. What I really wanted was just one and the only question I would ask is, are you proud to work here? And we had 92 percent of our employees say yes. And that, to me, is what—people will do well if they feel good about the place they’re working for and the people they’re working with. HAASS: This is International Women’s Day. Why don’t you say something about the career trajectory—what’s been your—what’s been the record at Morgan Stanley for women? GORMAN: You know, we’ve—you can sort of tackle it at many levels. Number one is the obvious optics. Do we have women on our board of directors and how many? When I started, I think we had one woman, we now have four women of the thirteen—four of the directors are women. Do we have women on our operating committees and management committees at the firm and how many? And we have about 20 percent of the women on the management committee and slightly higher on the operating committee of the total committee are women. Should it be 50 percent? Objectively, of course, 50 percent of the population are women. But it’s the pool that has come through. And over time, we have deliberately tried to find opportunities for high-talent women and put them in positions where their careers can be developed and be successful. The third level, a sort of standard metric, is, what about managing directors? We have eighteen hundred managing directors. When I became CEO, 15 percent were women. This year, we just passed 20 percent. The only way that happens mathematically is if each new class is coming in with a much higher percentage of women in order to move the embedded denominator. So last year, I think we had 29 or 28 percent of our new managing directors were women. In the entrance classes, obviously, it’s closer to 50 percent. So you’ve sort of got the obvious stuff that people point to. Well, how many directors do you have on your board? It’s a bit of a red herring. We could have eight women as directors on the board. That doesn’t mean that you are an organization that actually helps women have the most successful opportunities and careers that they could have, it just means you have eight women on your board. So it’s important, but it’s not sufficient. The core of it is something I’ve talked about a fair bit in our diversity. And you’ll see a lot of organizations call it diversity and inclusion. And I’ve tried to change the language—not successfully yet—to diversity and belonging. I want people to walk into a room and feel like it’s their room. “Including” means you’re invited into the room, somebody thought it was OK for you to come, it’s OK, we can have some women now, they can come into the room. No, it’s their room as much as it is the man’s room. So this sense of this is my space, I belong here, and I think the empowerment that comes from feeling you belong rather than somebody chose to include you is massive. (Applause.) And that’s been the—that’s been the major focus that we’ve had. And that manifests itself through a thousand different things we do in the organization. Q: Yeah. Maurice Sonnenberg, Guggenheim Partners. I want to take you to a more parochial subject. And since we’re on the record, I’d like to hear your views. I want to move from Brexit to exit New York and the problems we are facing: SALT, and you know all the rest of them, Amazon, go on. And my fear that—and I know other banks have moved their operations and many people. Would you like to elaborate on that? Because it’s something that I think some of us are worried about. Q: In general, the policies that exist today will foster more of this. GORMAN: Institutionally, and certainly I personally take a much longer—have a much longer lens on issues like this. Policies come and go, administrations come and go, political climates change. We’ve been in business since 1935. Our headquarters are in New York, they will always be in New York. There are some businesses where there are better talent pools outside of New York. GORMAN: But I’m—so the decisions we make about location of people are much more driven by where the capability is to receive those people than it is we’re upset with the administration over this or Amazon with that or whatever. We just—we’re much longer term around that. Now, I happen to think, personally, it was an extremely disappointing result what happened with Amazon. And I signed a letter along with some other New York-based CEOs about that. I think that, you know, there are—there are a lot of jobs and opportunities that would have been created from that. And I think it’s disappointing. I hope they can put that genie back in the bottle. Cathy Wild tells me there’s some chance, so I hope so.